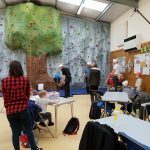 2nd Ifield Scout Group is pleased to offer Community climbing days at 2nd Ifield Scout HQ, Friston Walk, Ifield on selected Saturdays. Open to all ages and abilities, only £1 for members of Crawley District Scouts and £2 for non members. This is a open session and not leader supervised, young people must be accompanied by a responsible adult.